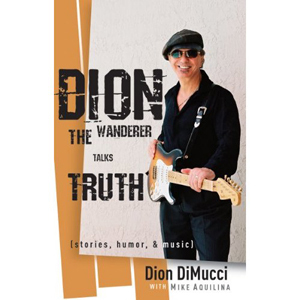 Dion DiMucci is a multi-platinum recording artist, Grammy Hall of Fame Award winner, and inductee in the Rock and Roll Hall of Fame. His hits include Abraham, Martin and John, Runaround Sue, and The Wanderer. He came up out of the Bronx in the 50s and tore through the music charts in a ferocious display of talent. He continued to make great music while slowly returning to his Catholic roots. His hard-won wisdom filters through his stories whether he's recalling how he went shopping with John Lennon and ended up on the cover of Sgt. Peppers, what it was like to travel in the Jim Crow South with Sam Cooke, or the true story of the Day the Music Died.